I’ve mentioned this before, but one of the cool things about living in the house your Grandparents and mother grew up in is that you end up with a lot of interesting stuff. My Grandfather, Arthur Rynkus, was a senior manager at the local IBM plant (new Lockheed Martin) here in Owego – he worked for IBM from 1951 (then in Binghamton and Vestal, then from 1956 or so on in the then-new Owego facility) until 1984. As with many corporations at the time, IBM spawned a number of credit unions for employees (among many other things), normally wherever there were large sites. In our area, there was an IBM CU in Endicott and, separately, in Owego (though they were just 15 miles apart.) In the 1970s these CUs merged and became known as the IBM Endicott\Owego Employees Federal Credit Union, and in the 1990s when IBM downsized locally and\or sold plants (like Owego) to different entities, this credit union changed its name to Visions FCU and moved to what is known as a “community” charter – instead of having to be an IBM employee to be a member, now if you lived in the Greater Binghamton community you could join. Since then, Visions FCU has grown to become one of the largest CUs in the United States (No. 34 as of 2013) and has operations from New Jersey to Rochester. My grandparents, parents, and brothers and sisters have all been a part of this CU, and the IBM CU in Austin (TX), and today I also volunteer at Visions as a Supervisory Committee member, assisting in overseeing the financial auditing process and helping to ensure regulatory compliance. It’s a big responsibility – Visions is a $3.4 billion financial institution. 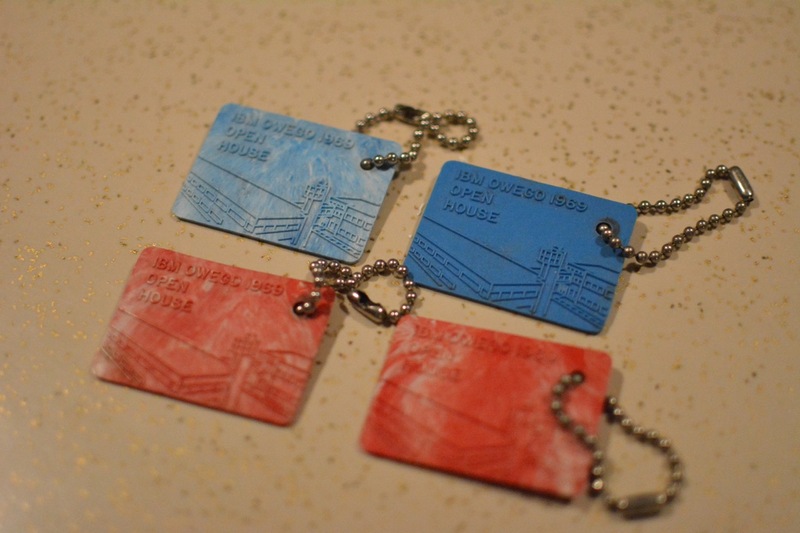 IBM Owego Open House 1969 Key Chains – this facility is still around and part of Lockheed Martin. 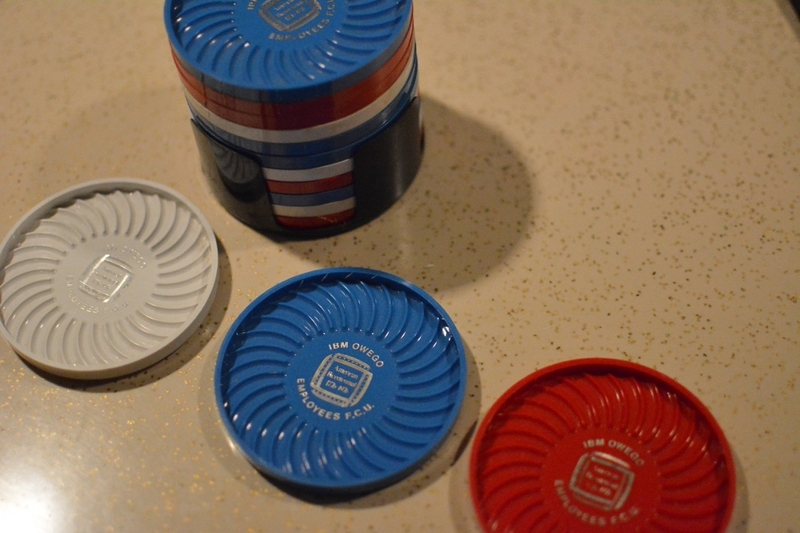 IBM Owego Employees FCU coasters – red, white and blue in celebration of America’s Bicentennial in 1976. 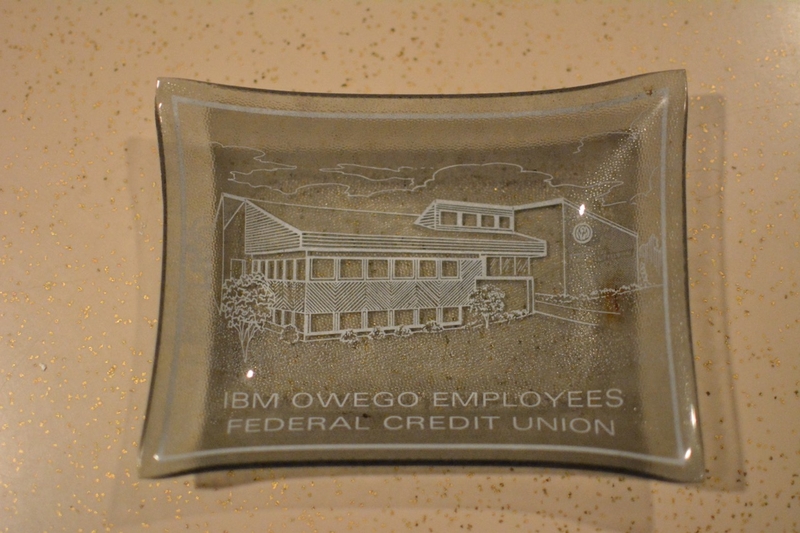 IBM Owego Employees FCU ash tray – definitely don’t receive these as free gifts anymore. 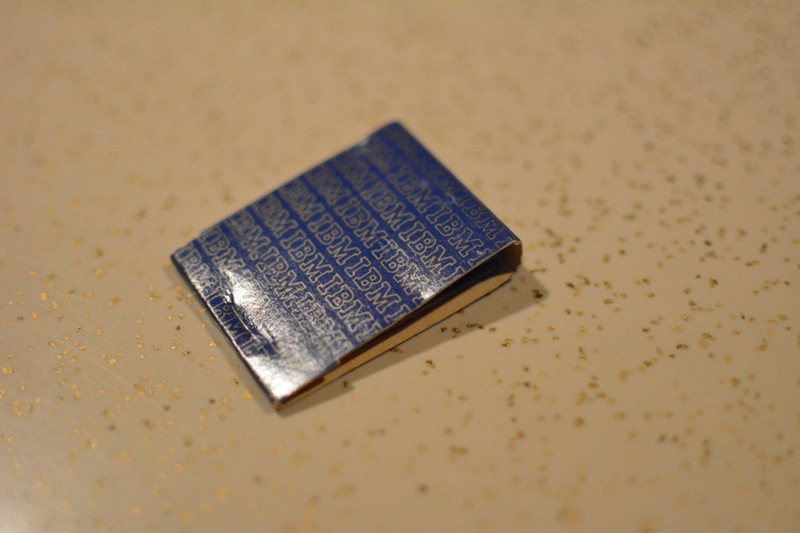 I even have this book of IBM matches – the match heads are IBM blue. I’ve shared other memorabilia that I’ve had before as well – you can see it here and also here. This entry was posted in memories, rambling and tagged ibm owego, ibm owego fcu, owego history, visions fcu on January 31, 2015 by Douglas Camin. Cool to have those bits of history! I remember my parents having plastic coasters that stacked like those. And remember buying Ohio Blue Tip brand matches, when we lived in that state. Perhaps they made your IBM matches, with Ohio being the home state of the company.